As a professional lighting manufacturer, we have very strong technology for the design. To meet the auto show need, we have designed this high power LED auto show light, it equips pure white led lamp, the output can reach to 310W. 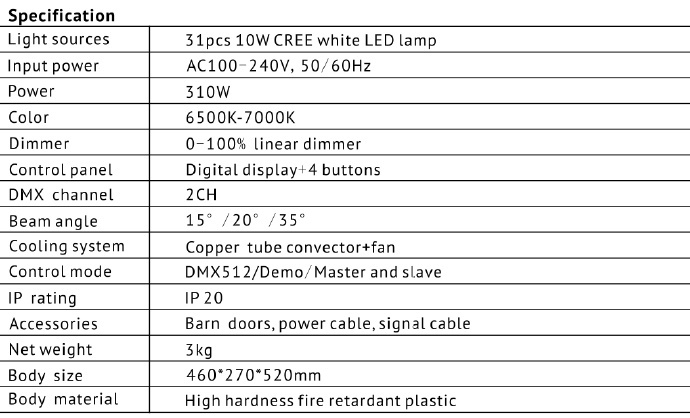 This light is very useful for the auto show, outdoor fashion show and other indoor or outdoor place.